Camp Tournesol offers students the opportunity to improve their ability to communicate in French as they engage in daily, spontaneous use of the language. 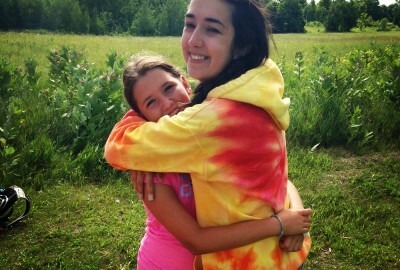 Working for Camp Tournesol is a great supplement to the French immersion and French first-language programs in Ontario. At Camp Tournesol, French-speaking counsellors work with campers from 4 to 14 years old, who either are new to the French language, or who can already express themselves in French. Our camps offer a playful, enjoyable, and stimulating atmosphere that help students practice and improve their French all day long. 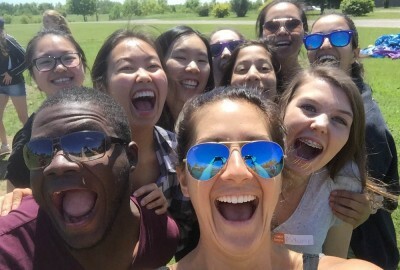 Come spend the summer with our team of dynamic and energetic counsellors, with an extraordinary coordinator! 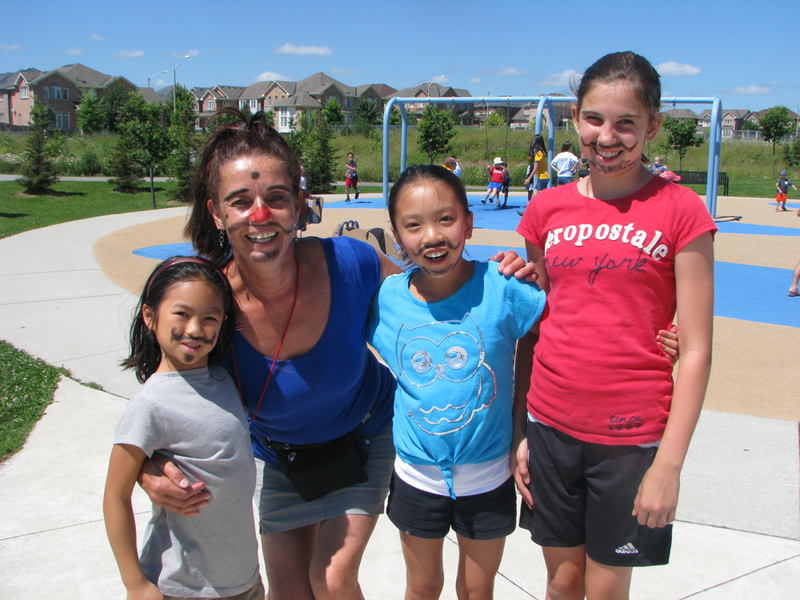 As a bilingual counsellor with Camp Tournesol, you may also be offered employment opportunities all year long. Our salaries are competitive and we put our counsellors first! We also have positions available for the spring and fall time for our school trips. Why not spend a few weeks with us? Please review below the various positions available. 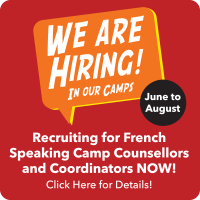 Come join a fabulous team of counsellors, delivering Camp Tournesol French programming all summer long. Partnered with another staff member, you’ll be assigned up to 20 campers. All week long you’ll lead the games and activities in French, practicing your French language skills in spontaneous and fun-filled environments. You’ll lead kids through their acquisition of the language throughout the programming (all provided to you! ), creating a positive and supportive learning atmosphere, all while challenging them to use their French in new situations. You’ll join a team of dynamic leaders focused on collaboration and providing high-quality day camp services, while being constantly supported by your coordinator and our office team. You’ll interact with parents, regularly communicate the progress of their child, and help them with any concerns they may have. And most of all, you’ll have fun the entire time! To take a peek at what a day camp schedule looks like, see our kindergarten schedule here, or our French day camp schedule here. Grade 9 graduates: Students in grade 9 are welcome to apply to this position as a volunteer. Graduates of our Counsellor-In-Training program will be given priority for these very limited positions. Grade 10 graduates: In each campus, we hire 1 or 2 grade 10 graduates as Junior Counselors in a paid capacity. Volunteers from the previous year are given priority. Grades 11 and 12 graduates. Students graduating from grades 11 and 12 can apply for our counselor level 1 paid positions. Note: Students in grades 10-12 who would prefer to be granted volunteer hours instead of a paid salary have the option to do so. The majority of the positions in our French day camps are filled with university students. 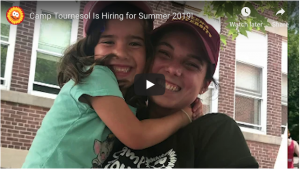 Students attending an education or modern languages concurrent program are strongly encouraged to apply, as experience at Camp Tournesol has proven to enhance teaching applications upon graduation. Positions for university students include counsellor levels 1, 2 and 3 as well as Senior positions in our Kinder Programs (see below for additional information). Love French camp but looking for more leadership? Join us as a Senior Counsellor! Senior Counsellors head the kindergarten program, leading a group of staff in the delivery of the program. Staff in this position will be responsible for instructional periods (e.g. book club, cahier time) and will support all kindergarten staff in delivering all other modules. Staff in this position will also act as a mentor for high school level counsellors and the Counsellors in Training on-site. They will be expected to support the Coordinator during camp, and may be consulted about programming. Experience working with children is necessary. Experience working with children in a French first-language or French immersion environment is beneficial. Must be in at least their 3rd year of a Bachelor of Education or a Concurrent Modern Language Bachelor’s, or have an ECE or teaching certification. Love overnight camp, and ready to give kids the same amazing experience you had? 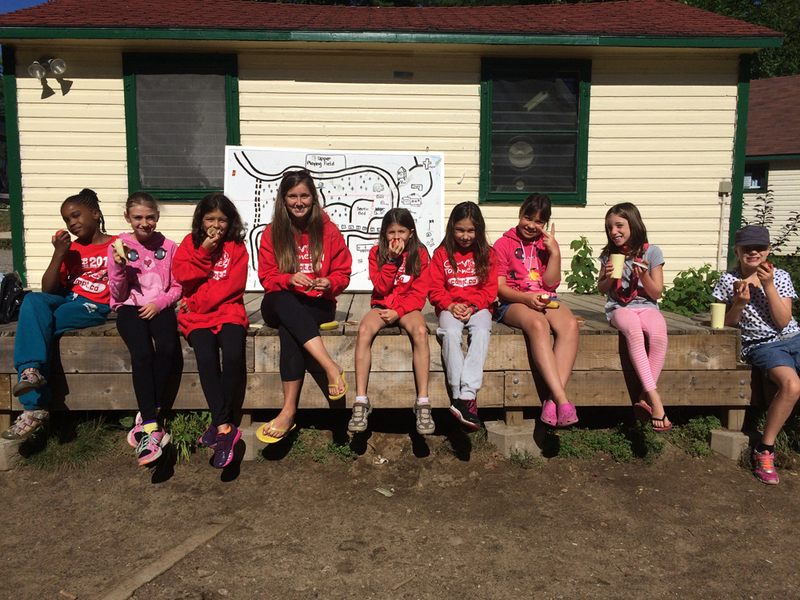 Join us as an overnight French camp counsellor! During the week you’ll help head one cabin, making it a home-away-from-home for all of your campers. You’ll immerse kids in the French language, creating an unparalleled language-learning atmosphere. You’ll lead kids through their acquisition of the language throughout the programming (all provided to you! ), creating a positive and supportive learning atmosphere, all while challenging them to use their French in new situations. You’ll deliver a variety of land and water programming, with the support of specialty staff, with fun as the number one priority. You’ll join a team of dynamic leaders focused on collaboration and providing high-quality overnight camp services, while being constantly supported by your coordinator and our office team. And most of all, you’ll have fun the entire time! During a span of 3 to 5 days from May to June and again in September, you help organize and lead activities for students in grades 6 to 12, while they practice their French. You are the “Program Leader” where you would put in action our developed programming that connects to the government curriculum. You’ll be immersed in nature at our Bracebridge location, where during the weekends you would be free to venture or go back home. During the experience, room and board as well as meals would be included to our you. You’d join a team of energetic staff focused on team-work and providing a great French experience , while being supported by our team at our office and your coordinator. Grade 9 and 10 graduates can apply for our French Overnight Camp CIT Program. 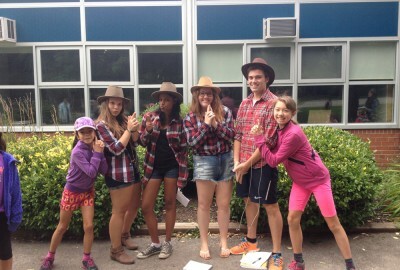 Grade 11 and 12 graduates can apply to work as a junior counselor at our overnight camp. There are very limited positions available. You are encouraged to apply to live a unique, fulfilling experience as one of our counsellors. You are particularly welcome to apply for this opportunity as accommodation and food is provided and included in your compensation package. If you love nature and the outdoors and engaging in camp games, campfires, swimming, climbing and more, move-in with us and have a fantastic summer! 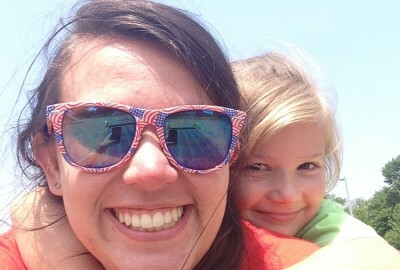 Kindergarten to Grade 6 – Attend Camp Tournesol as a camper! Priority is given to previous Camp Tournesol campers, but no previous camp experience is needed to apply to be a CIT. The Leadership Program trains all CIT candidates on their role and develops their leadership skills. It’s a prerequiste to being a CIT, and those who complete it leave feeling prepared to start their summer as a CIT! Instructions for applying to be a CIT are found above. 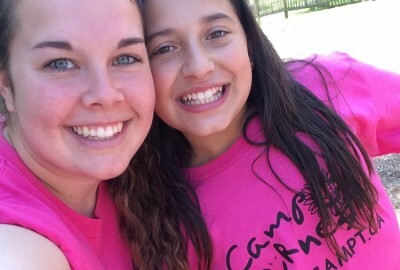 Successful CITs are encouraged to return to the Camp Tournesol team, this time as Volunteers! they can earn their 40 hour requirement for high school, and gain more exposure to the role of a Camp Tournesol Counsellor, this time participating in formal staff training and taking on more roles at day camp. Apply here! Grade 10 – Apply to join the staff as a paid counsellor! All those years of experience have paid off! Successful Volunteers are invited back to join the Camp Tournesol as a paid Counsellor, leading their own group and bringing their leadership and Camp Tournesol expertise to the team. Read more and apply here! Returning staff have priority until February 1st. New staff interested in applying have priority until March 1st. Applicants that apply after March 1st are considered on a first-come first-served basis. The number of positions available at each site is dependent on the number of camper registrations, and there is often a second wave of hiring in mid-April as registrations begin to increase. Applications are welcome all year long. Step 1: Complete our online application form. Step 2: Should your application be successful, a Skype interview will be scheduled. Step 3: All candidates who receive an interview will be contacted with the results of their interview. Those who are successful will be sent a contract confirming the position they are being offered. Step 4: Welcome to the team! If you have been offered a position with Camp Tournesol, you are required to complete a criminal record check. There are two options to complete this. Option 1: Camp Tournesol works with Sterling Talent Solutions, who process criminal record checks on behalf of our employees. The administration fee for this is $35 and employees must notify us that it is their intent to use this solution. Criminal record checks must be no older than 18 months. If you do not believe your criminal record check will be available before the first day of camp, please provide your receipt until the formal documentation is available.